Every once in a while you meet a person, or a group of people who have an idea or an approach that just causes a subconscious head-nod. As you watch and observe, they carry themselves with confidence, approach work and life with energy and passion. Problems are analyzed, dissected, solutions designed and then the real work begins. This is DRI: a team, group of people a family really, with a big heart, big ideas, more importantly, the ability and know-how to execute. I could introduce the cast of characters, professionals, humans, friends and peers. That, however, would be self-serving and will happen organically over time. Members of the team cut their teeth in the open source ecosystem, but there is more (much more) to it than that. The shared passion is problem solving, affection for technology and innovation; creative ways to solve the hard problems. Providing value at each stage, to every client, every day is critical. The focus moves beyond what needs to be done and why, to how to execute the vision. It is about goals, objectives, experience, strategy and our customer’s, customers. I will be building and leading the US team. I will do my best not to break what is already working. I am not here to change anything; I am here to show the US market what we can do. The work was started in Portugal and we realized this is only the beginning. DRI is now a Global organization; DRI Global. I am part of a team, we live, learn, share and collaborate. The countries served now number 5 and it will grow beyond, carefully, measured, with caution and a deliberate approach. We are small, execute with precision and make decisions quickly. To put a label on what we do is important, but I do so with caution. It will include solutions labeled CEM, CRM, SFA and CMS. Further, it would be great to simply add prefixes like Social, Mobile and a suffix or two like Platform and Intelligence. Sorry that it feels like buzzword bingo; something I am trying very hard to avoid. What if the approach was bottom up; design and build a platform that solved for the specific goals and objectives required by a business? What if the focus was helping businesses to understand what jobs their customers want to do with their products and how technology can help? We are not going to build everything from scratch, quite the opposite really. We will build on top of solid products, supported by great companies like SugarCRM, IBM, Acquia, Knime and Talend, just to name a few. In the world where outcome driven innovation is the powerful model moving forward, it is the space between the applications that is the hard part. The space between engineering and support, the space between sales and marketing or the space between the organization and the customer, these are the challenges. 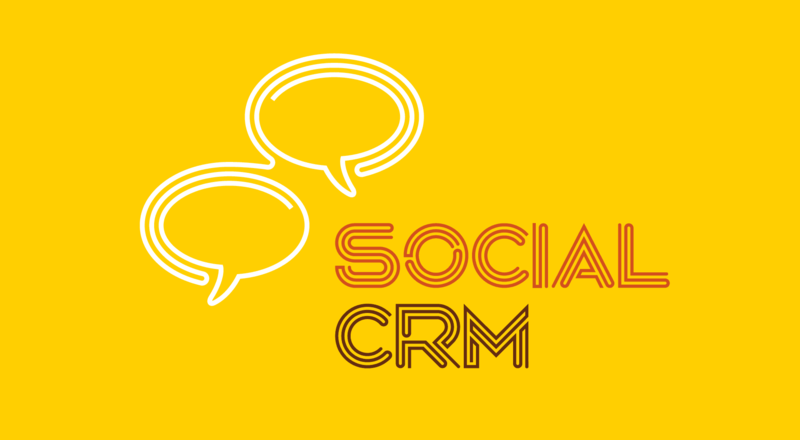 You may know this space by other names; social CRM, collaboration, workflow, integration or business process. From products and pricing to service and social, there is no shortage of talk on what companies need to do to achieve service excellence. For the past many years, specific to ‘social’ the number of people who are more than willing to share ‘what to do’ is staggering. It is easy to say what to do, to be an advice giver. That said, telling someone how to do something is not nearly as easy. There is not only a tremendous difference between ‘what’ and ‘how’, the ability to cross the chasm between is where companies succeed or fail. Transitioning from what to do to how to do it takes hard work, planning and execution – especially in the realm of customer service! A mission is the very big, long-term end-result or achievement in your sights. A Customer Service mission is the biggest and most important thing you and your team aim to accomplish. Mission statements can be tied to financial metrics, directly or indirectly, but financial metrics can also get in the way. A mission is a ‘what’ not a ‘how’. 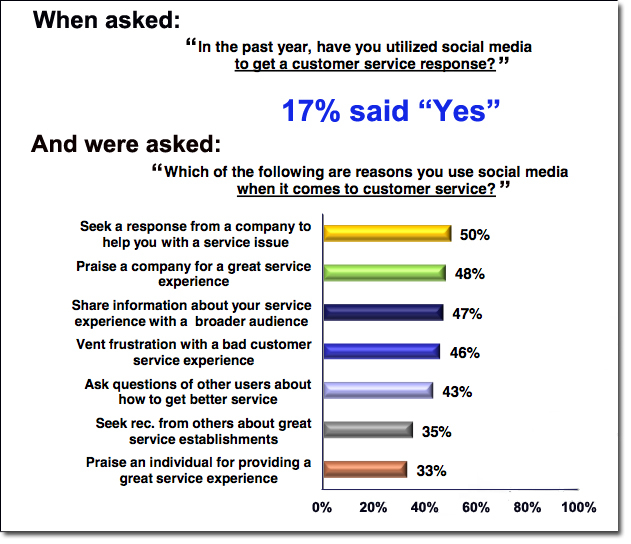 What is your customer service mission? Do you know it by heart? With respect to customer service, goals and objectives are often interchangeable – just as long as you are clear. There might be a slight nuance that goals are customer facing and objectives are internally focused, but they should be very well aligned. Each is an end game towards which actions and activities are focused. But, we are still in the land of ‘what’, not yet progressing to ‘how’; that said each should be smaller than the mission. Here is where I think organizations lose sight of their purpose. If there is not a clear mission, or set of goals (or objectives), a strategy is almost a waste of time. The idea of a strategy is to focus the team towards achieving the goals and objectives, towards the mission. I believe too many people jump to strategy, when they mean mission. The importance of strategy, is that we finally have moved from ‘what’ to ‘how’, hallelujah! A well thought and constructed plan of attack with actions that will be used to achieve the desired objective. The strategy is the first, most important step in the ‘how’ process. Simply stated, tactics and actions are what is done to deliver on the strategy. This is where the rubber meets the road. Although tactics and actions are more about doing (versus thinking), in customer service, poor execution of tactics and actions will have far reaching consequences; leading eventually to inability to succeed at the mission. The inability to succeed at the customer service layer will impact the ability for the organization to achieve the higher mission as well. Customer Service Mission: We at <company name> believe that you, the customer, are part of our family. We are dedicated to treating you with respect; being courteous towards you and creating a positive experience for you each and every time we connect. We hope to convey that we are a caring and genuine team, here to help you to the best of our ability; in-person, on the phone and across all digital channels. I cheated a bit, and used the results of the research Sword Ciboodle and thinkJar did to drive the conversation. Well, maybe that is not cheating, but the results did show that organizations are focusing heavily on the Goals I listed above. Gartner (8 Pillars of CRM) and Forrester also have been know to recommend building the Customer Service program with specific goals and objectives in mind – no, not just operational efficiency, but how the impact can be felt directly by the customers. What are your Goals and Objectives as an customer service organization? If you are Vendor or Analyst reading this, what how do your clients articulate their Goals and Objectives? Do they have a Customer Service Mission Statement? Please, feel free to add to the list and do not beat me up too much for missing something. To give credit where credit is due, thanks to Clare Dorrian for editing help and good ideas!